A television show that features women accused of murder will air an episode highlighting the Ottawa County case of Maryann Castorena, who was convicted of paying a hitman to kill her ex-boyfriend for life insurance money. “Snapped,” which airs at 9 p.m. Sundays on the Oxygen Network, will air the Castorena episode Sunday, Feb. 28. Featured in the episode will be Ottawa County Prosecutor Ron Frantz, Ottawa County Sheriff’s Office investigators Capt. Mark Bennett and Det. Jacob Sparks, The Sentinel reporter Curtis Wildfong and members of Castorena’s family. This entry was posted in Snapped and tagged castorena, feature, hitman, maryann, murder, snapped on February 26, 2016 by admin. 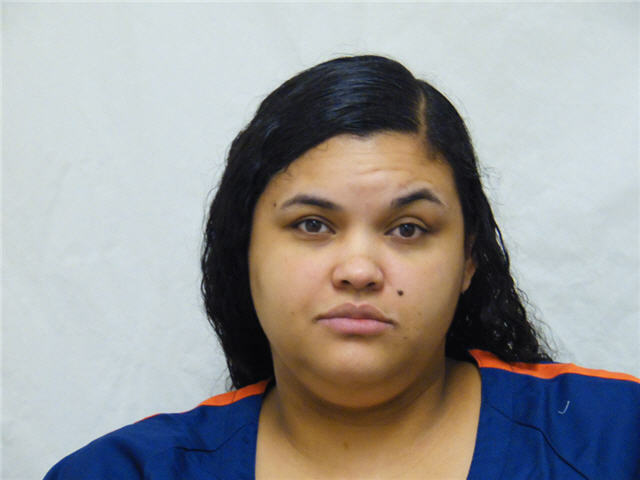 JACKSON, MI – The Michigan Court of Appeals has assured the continued incarceration of a woman whose insolence infuriated a judge and whose brutal killing became the topic of a cable TV episode. In a unanimous decision released last week, the court affirmed Camia Gamet’s first-degree murder conviction. Gamet, 32, is serving life in prison for the violent May 2013 murder of her boyfriend, Marcel Hill, 38. Hill had 11 “sharp force trauma” wounds and other injuries believed to have been inflicted by multiple weapons, including a frying pan, a floor lamp, an end table and a long knife. A jury rejected her contention she was acting in self-defense and convicted her in March 2014 of the state’s most serious offense. A year later, the Oxygen network’s true crime series, “Snapped” featured Gamet’s story. This entry was posted in Snapped and tagged camia, conviction, degree, first, gamet, murder, stands on February 16, 2016 by admin. COLUMBIA, Mo. (AP) — A film crew is turning the 2003 killing of a Columbia man into an episode for a true-crime cable TV series. The Columbia Daily Tribune (http://bit.ly/1RvXygI ) reports that the crew began work this week on an episode about the 2003 killing of James Pruitt for the show “Snapped” on the Oxygen Network. The show will focus on his ex-girlfriend, Lucille Duncan, who is serving a life sentence for first-degree murder. Prosecutors said she conspired with her brother, Gerald, who was convicted of second-degree murder. He’s accused of shooting and killing Pruitt in her car in Boone County as they drove back from the Missouri River. This entry was posted in Snapped and tagged boone, county, investigates, murder, snapped, springfield on February 12, 2016 by admin. A three-person film crew is visiting Columbia this week to conduct interviews and film footage about a 2003 Boone County murder for an episode of a true-crime cable TV series. Producer Keith Thomas, Director of Photography Paul Foster and Audio Supervisor Cameron McLaughlin arrived in Columbia on Monday to work on the show Snapped for the Oxygen Network. They plan to remain in the area through Wednesday as they film an episode about Lucille F. Duncan, who was convicted of first-degree murder in 2004 for conspiring to kill her ex-boyfriend, James Pruitt. Duncans brother, Gerald, shot and killed Pruitt July 5, 2003, in her car in southeastern Boone County as they drove back from the Missouri River. Lucille Duncans son, Jeremiah Robertson, was in the car when Pruitt was killed, and he served as the prosecutions main witness at her trial. This entry was posted in Snapped and tagged boone, county, documentary, investigates, murder on February 11, 2016 by admin. Tori Spelling has packed up her family and moved them yet again, and it’s the seventh move in five years, Daily Mail Online has learned exclusively. After only six months behind the gates in Calabasas, Tori has returned to Encino, reportedly to be closer to her kids’ schools. The cash-strapped Tori, 42, and husband Dean McDermott, 49, have settled on a 1950’s era 5-bedroom, 4-bath, 3,900 square foot home in the heart of Encino that rents for $7,500 a month. Candy Spelling is footing the bill for the home, as well as the family’s food and the children’s education as she revealed last month. According to the listing for the home, on a cloistered cul-de-sac, the downstairs master bedroom has two walk-in closets, and a light-filled master bath with sunken jetted bathtub. This entry was posted in Snapped and tagged again, children, mcdermott, spelling on February 4, 2016 by admin.